'Jesus called the children to him and said, 'Let the little children come to me...'' Luke 18: 16. Ministering to children and their families is an important part of church life. There are two groups specially for children and their parent(s) or carer(s). Tiny Tots is for children up to age four. Messy Church is for children and their families who want to explore the Christian faith in a fun, interactive and informal way. All children are welcome to come to any church services too. The Tiny Tots group is a small, friendly group for children up to four years old. It is open to all young families in the community. The group meets every Thursday in school term time from 13.30 - 15.00 hrs at St Dunstan's Church Hall. It is run by volunteers from the Mothers’ Union. 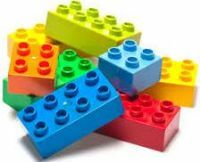 While the parents, grandparents and carers enjoy a cup of tea and a chat, the children can play together and share the many toys, puzzles and books. If you would like to join in, just come along on a Thursday or phone first. Email Chris Todd, or Contact Us or phone 01227 786109. 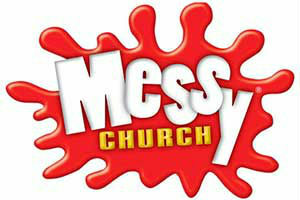 Messy Church take s place on the first Sunday of the month in St Dunstan’s Church Hall from 15.00 – 17.00 hrs. This popular event brings families together to enjoy learning about the Christian faith in an informal and relaxed setting. 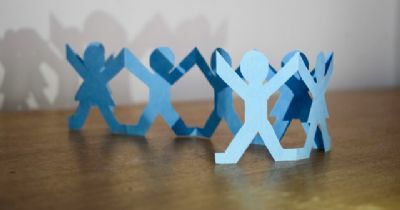 Messy Church is particularly geared to those who may be new to faith. The afternoon comprises arts and crafts, based around a specific theme for the day. There is a bible story, prayers and blessing followed by a delicious tea. If you haven't been before, just turn up on the day. Email Rev Jo Richards or Contact Us, or phone 01227 786109.